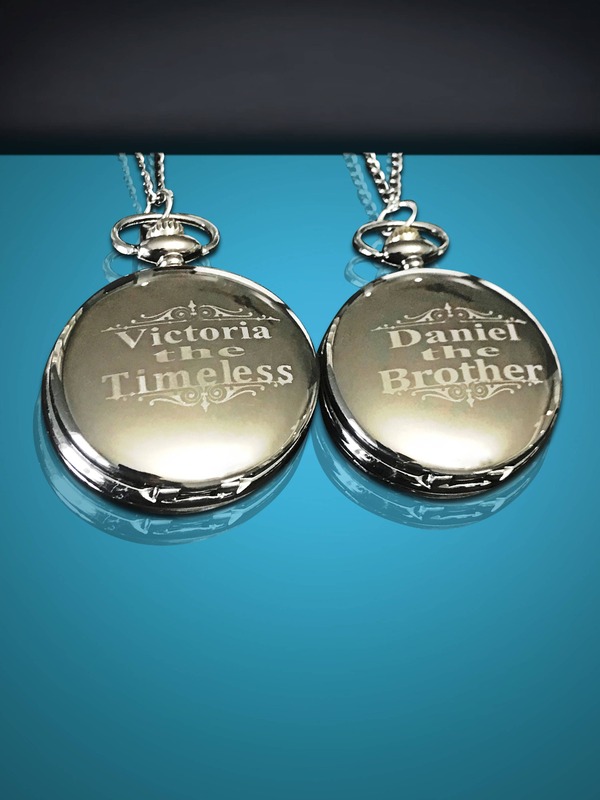 Personalized quality crafted pocket watch. 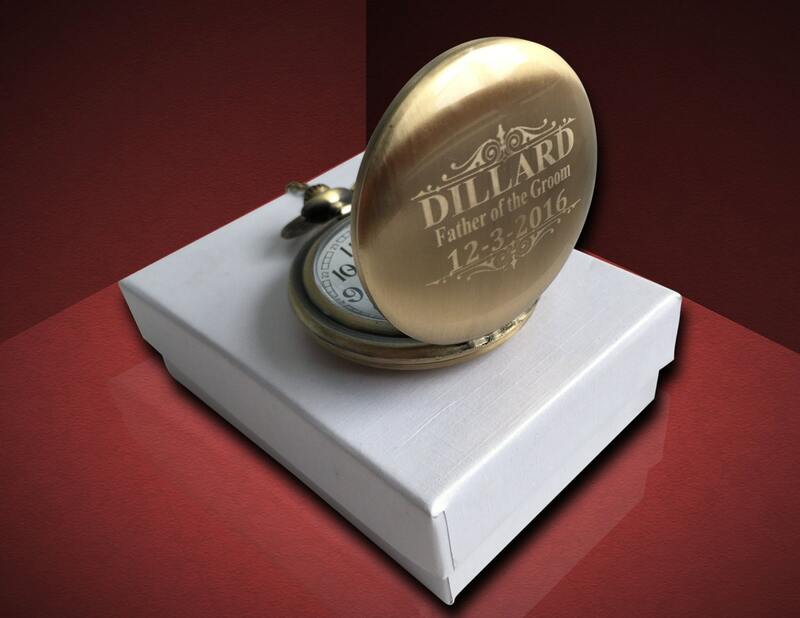 Gold vintage style laser etched pocket watch. 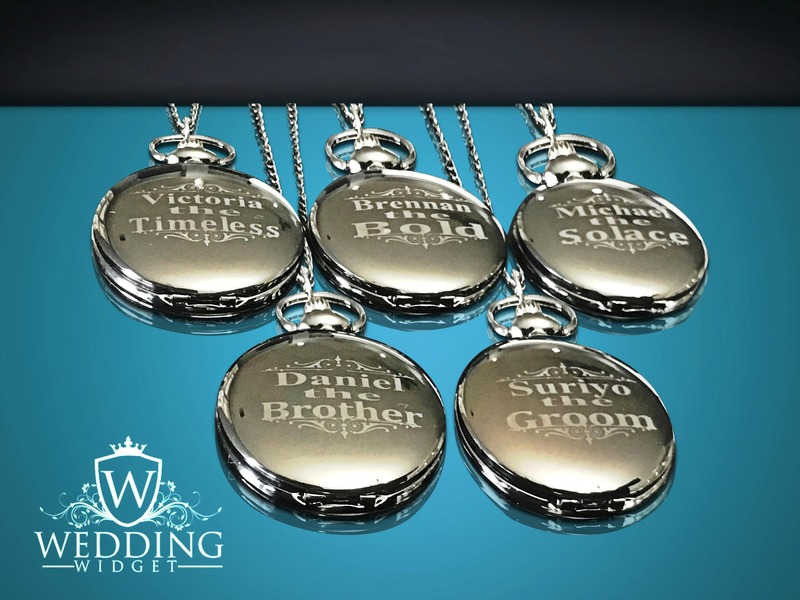 Monogram style name and initials design. 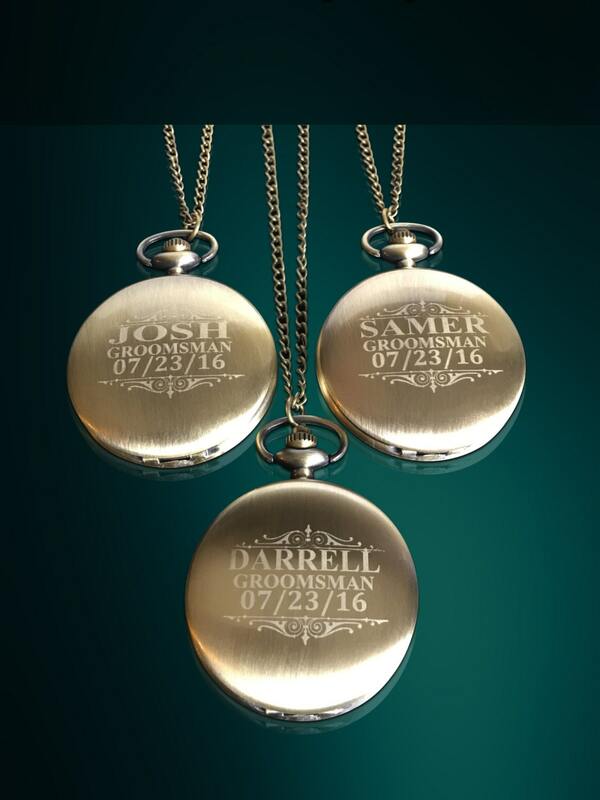 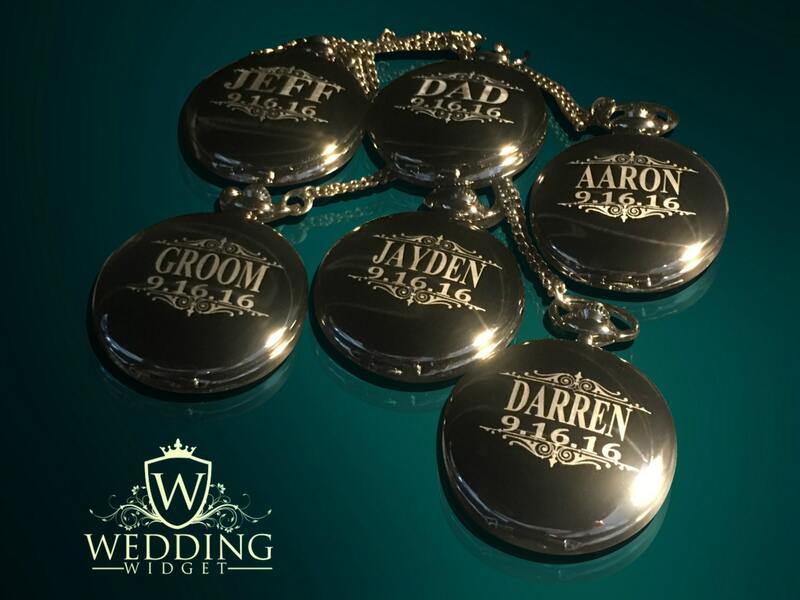 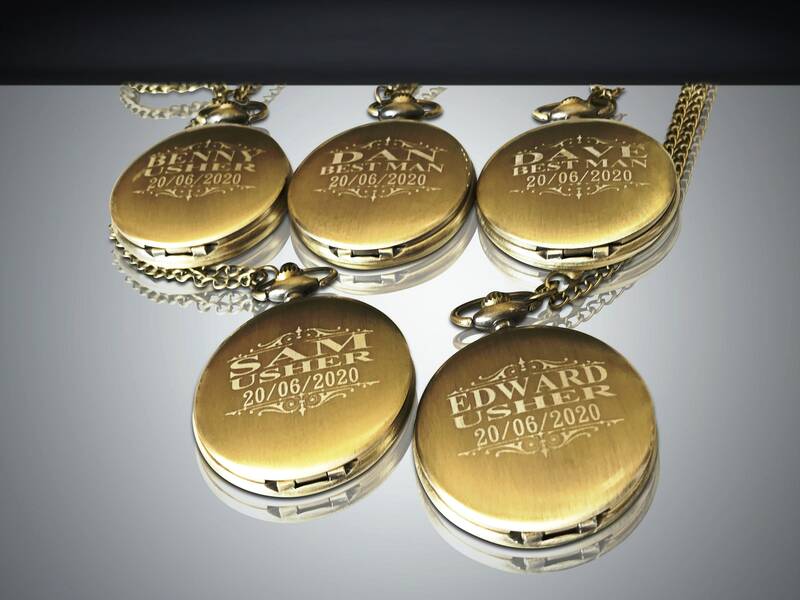 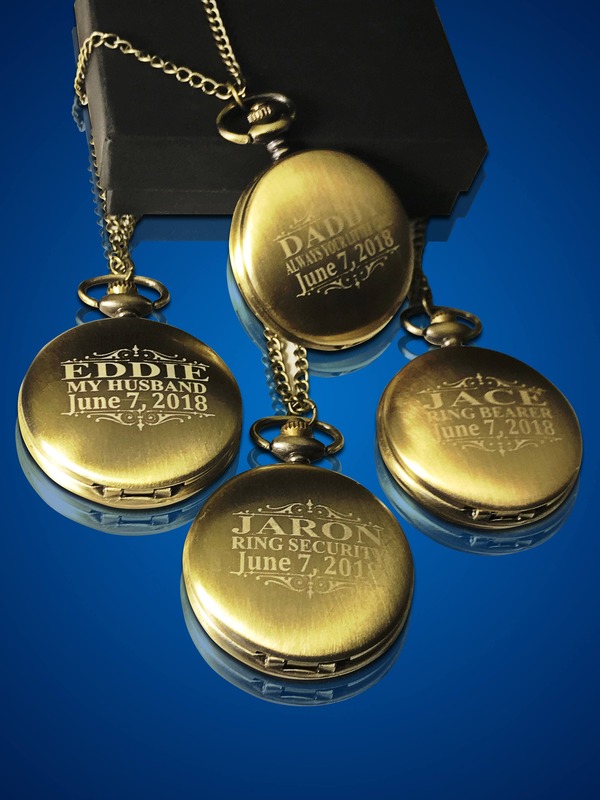 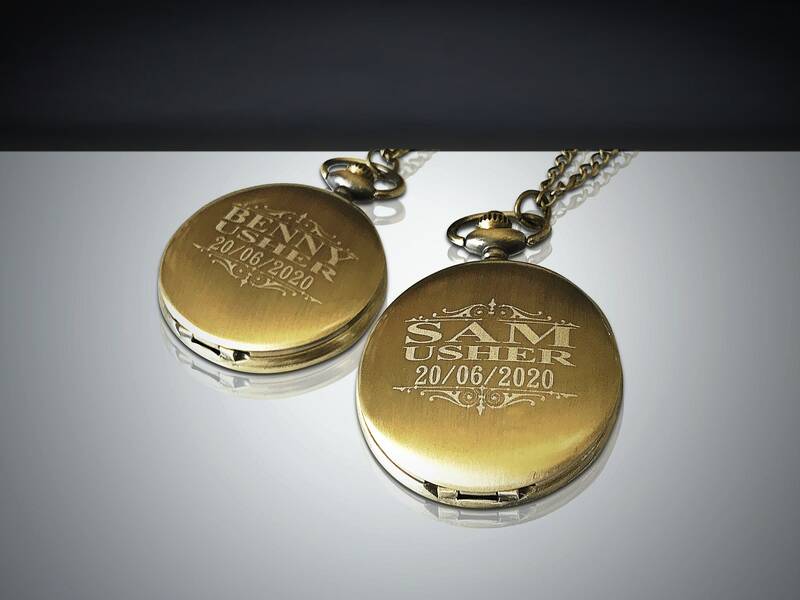 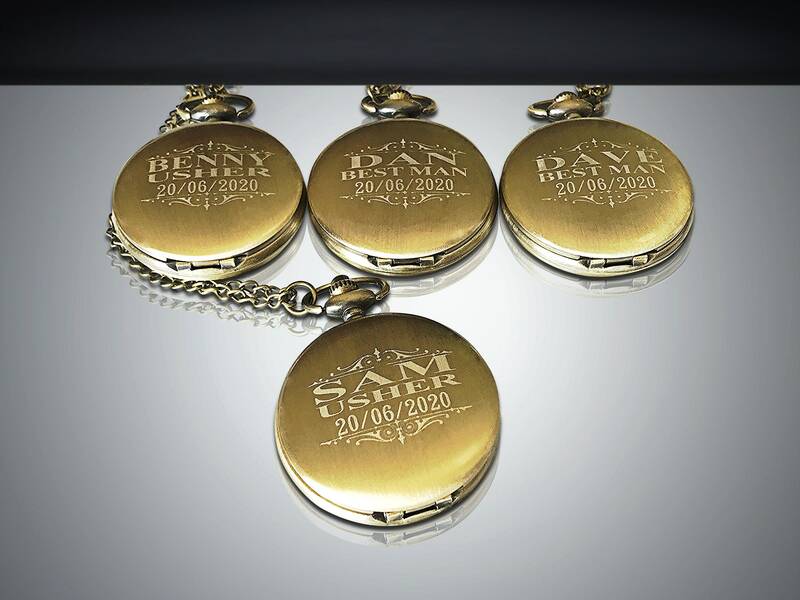 This listing is for 4 Gold Custom engraved pocket watches. 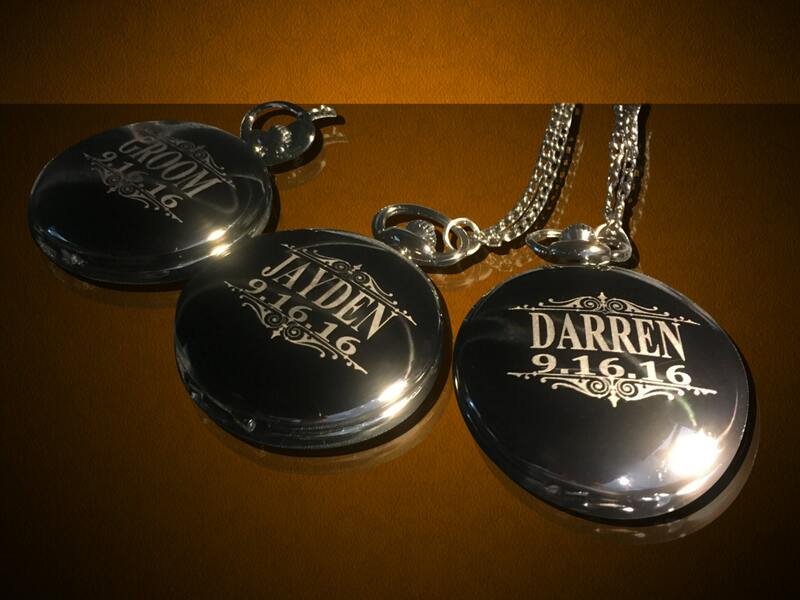 Also available in Gold, Rose Gold, Silver and Black/Gunmetal.